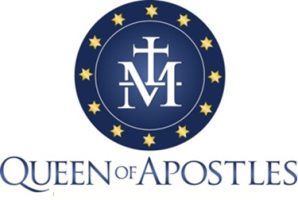 Queen of Apostles Church is one of the area's largest houses of worship, but the numbers only tell part of our story. Our parish's small-town roots and rich history keep that close-knit community feel among a large gathering of parishioners. While our current church was built in 1999, its spiritual cornerstone was laid in the mid-1800s. Who we are today has been influenced by over 150 years of growth, beginning with our roots in the parishes of Sts. Peter and Paul and St. Mary. 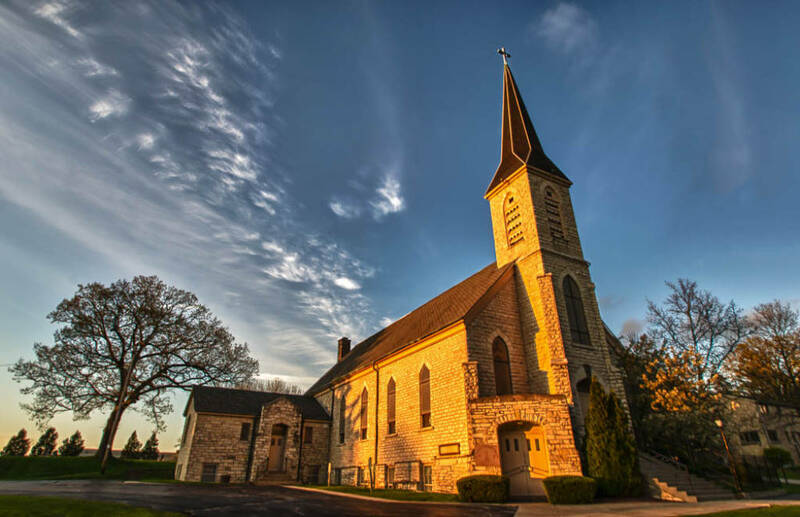 Our two Pewaukee congregations became one to better serve our faith community and provide more opportunities in ministry, outreach, and stewardship. Guided by the Holy Spirit, we came together as a prayerful community with common Catholic values and mission, and continue to grow in closeness to God. In 1848 and 1858 respectively, Sts. Peter and Paul and St. Mary each organized a small mission church. Sts. Peter and Paul constructed a small log church in 1859 that was replaced in 1875 with the brick church that remains today at the Sts. Peter and Paul site on Duplainville Road. Meanwhile St. Mary built a stone church that stands today on Wisconsin Avenue. It was dedicated in 1868 and reconstructed in 1887 to accommodate more parishioners. In 1883, St. Mary's was officially incorporated, with Father Becker, also the pastor of Sts. Peter and Paul, as the first pastor. Both of these original churches are historic treasure of our community and the respective cemeteries remain in use today. The stone church (St. Mary) is filled with the voices and prayers of Queen of Apostles School children every week during their Tuesday morning Mass. In 1957, St. Mary broke ground for the school building and first classes were held on September 3, 1958. Sts. Peter and Paul grew from 30 families in 1959 to more than 200 in 1968. 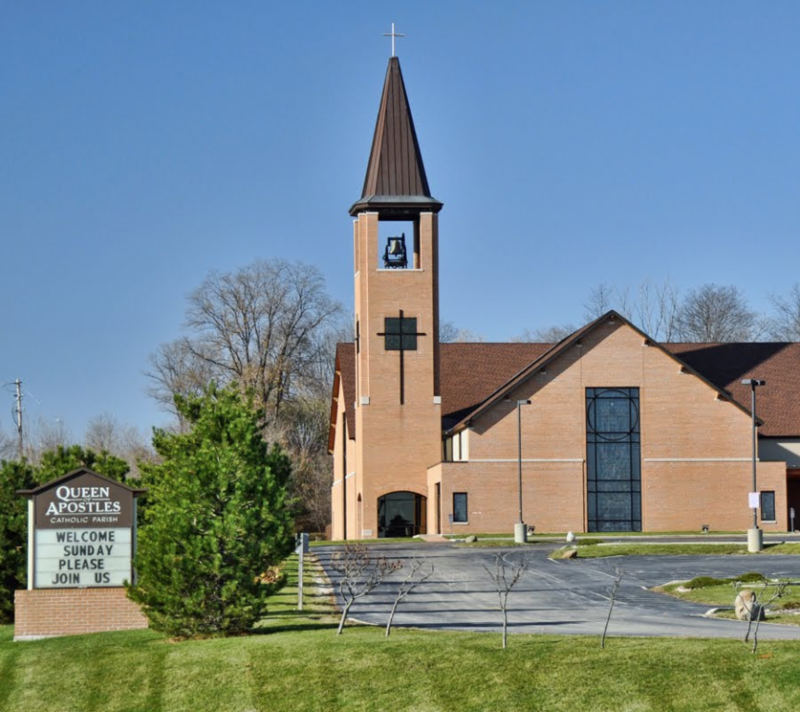 The Archdiocese named it a parish, with Father Robert Huettl as its first pastor, with the growing parish going on to build a larger church in 1970. Construction began on the Parish Center (now known as the The Alberte Center in honor of St. Mary's former pastor, Father Alberte) in October, 1992. 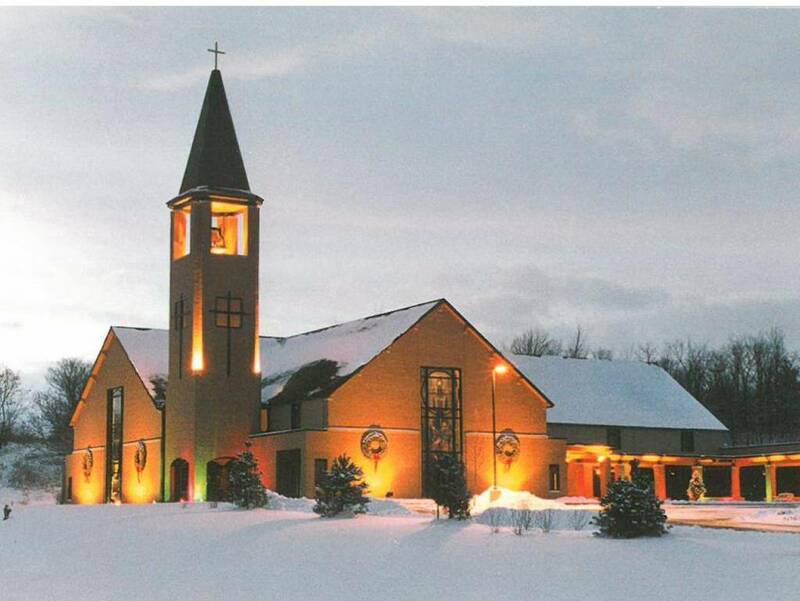 On June 26, 1999, Archbishop Rembert Weakland, OSB, dedicated Queen of Apostles Catholic Church. Fr. Charles Hanel has been pastor since January 1, 2014.